Despite the increasing accuracy of prenatal detection of birth defects and genetic disorders, necropsy still provides the final diagnosis in many cases and serve as an “ultimate audit”. In Berger’s view (1978) “any single autopsy may not have dramatic import for progress in medicine, but it may have profound and lifelong implications for helping the dead child’s family”. Necropsy results are of great importance to the parents of stillborn infants. 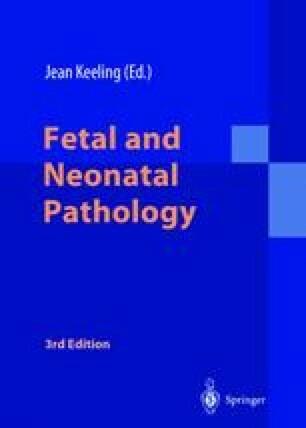 However, the task of autopsy on a macerated stillbirth is too often delegated to the least experienced trainee.